We are currently hiring OTR drivers delivering to all 48 states with 53' dry vans and flatbeds ...this includes the Northeast! No NYC, no CA is ok, but must be willing to go to NE as half of our lanes go out there. Our drivers average 3000 miles/week. Most outbound loads are 2- 3 stops or less; majority of inbound loads are truckload. No conviction for a "serious or disqualifying traffic violation" as defined by DOT in last 3 years. 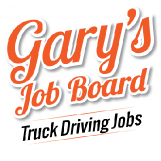 Please describe the job in detail We are currently hiring OTR drivers delivering to all 48 states with 53' dry vans and flatbeds ...this includes the Northeast! No NYC, no CA is ok, but must be willing to go to NE as half of our lanes go out there. Our drivers average 3000 miles/week. Most outbound loads are 2- 3 stops or less; majority of inbound loads are truckload.